Bermuda Pow Wow 2018 will be held this weekend at the St. David’s Cricket Club on Saturday, June 9 and Sunday, June 10, with visiting Native Americans joining with Bermudians in celebrating age old traditions. 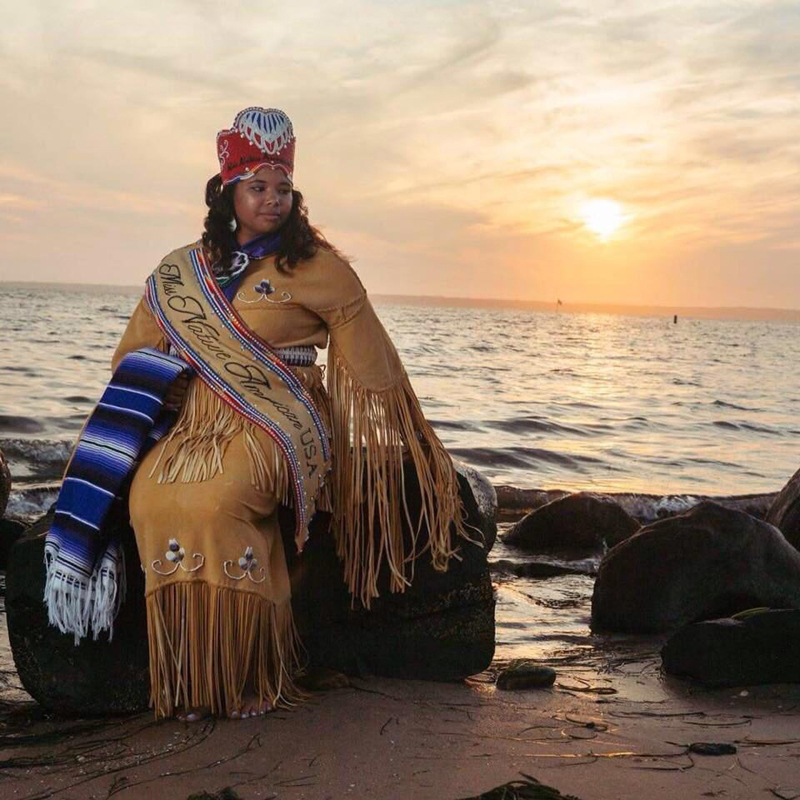 Hosted by the St. David’s Islanders & Native Community, the Pow Wow will welcome reigning Miss Native American USA, Autumn Rose Miskweminanocsqua Williams, who will be attending the event which takes place from 2.00pm to 6.00pm on both days. A spokesperson for the Miss Native American USA Organization said, “On behalf of all of us at the Miss Native American USA Organization, we are looking forward to MNAUSA Williams attending your Pow Wow this weekend. “Autumn Rose Miskweminanocsqua Williams hails from Long Island, New York, a member of the Shinnecock Nation. The 24-year-old holds a Bachelor’s Degree in Mass Communication and a minor in Business from Virginia Commonwealth University. “She is currently a Marketing and Communication Assistant at Peconic Land Trust, a company which conserves Long Island’s working farms, natural lands, and heritage. The original Miss America, Native Americans should have built a wall to keep Columbus and pilgrams out. St. David’s people have nothing to do with native Americans, Bermudians need to stop claiming everyone and everything. Your statement is actually false. My family hails from St. Davids, and we can trace our family history back to the Pequot Tribe. lol Them east ppl doing anything for attention smh all hail the Gombeys!!! I am a St. David’s Islander—a well educated one, and I speak truth because that is the way SDI were raised. We have no need to mislead anyone. To the naysayers, please do some research before you speak. We are connected to the Pequots, Arawak and several other tribes. The Gombeys originated in SDI as well. The Warwick Gombeys are led by a family who originated from SDI. Research takes us back many centuries, so please before you speak or write untruths or just “off the cuff”, take a trip to the Archives! Thank you.